An excellent example of a great-value Grenache Shiraz Mataro blend is the Turkey Flat Butcher's Block Shiraz Grenache Mataro, which is available for under $20. 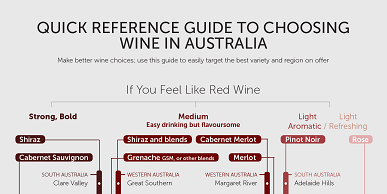 The best GSM blends will generally be found from Barossa Valley vineyards (mostly from very old vines which adds to their depth and complexity). Hopefully this has given you a quick overview of the mysterious Mataro gape variety – especially good as a winter warmer!